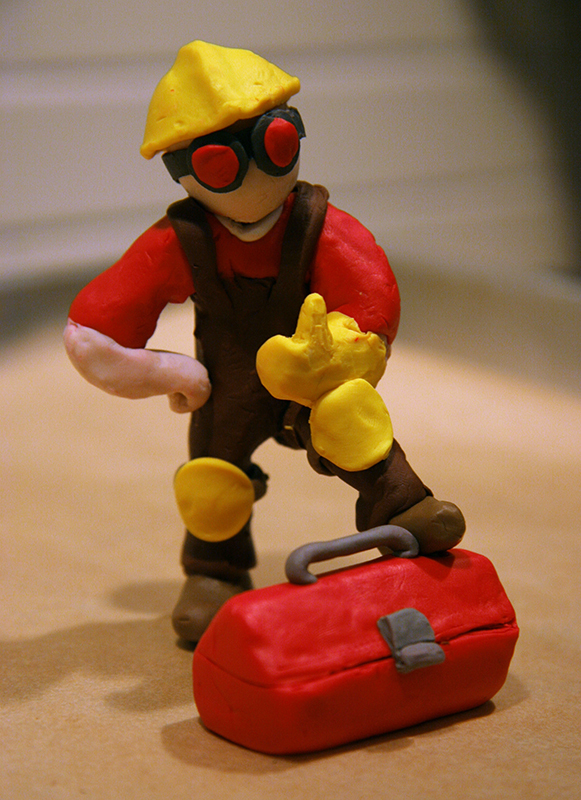 I endeavoured to make a polymer clay TF2 merc, despite having zero experience with clay, sculpting, or, you know, any kind of art. (Unless playing with playdough when you were a kid counts, but even then I mostly made snakes.) So it's far from perfect or professional, but I figure it's decent for a first crack. I learned a lot (A LOT) about clay in the process, especially the things you shouldn't do, because I did all of those things. I took this picture before I put him in the oven to bake/harden, which was a good thing, because in the oven he fell over an broke into four pieces. Note to self: buy crazy glue on Monday. I love the creativity you had with this entry!! Its really cute ad well done! Made a Bonk martini, and a Scout-penned ad to go along with it. An appreciation of rag doll physics in TF2.